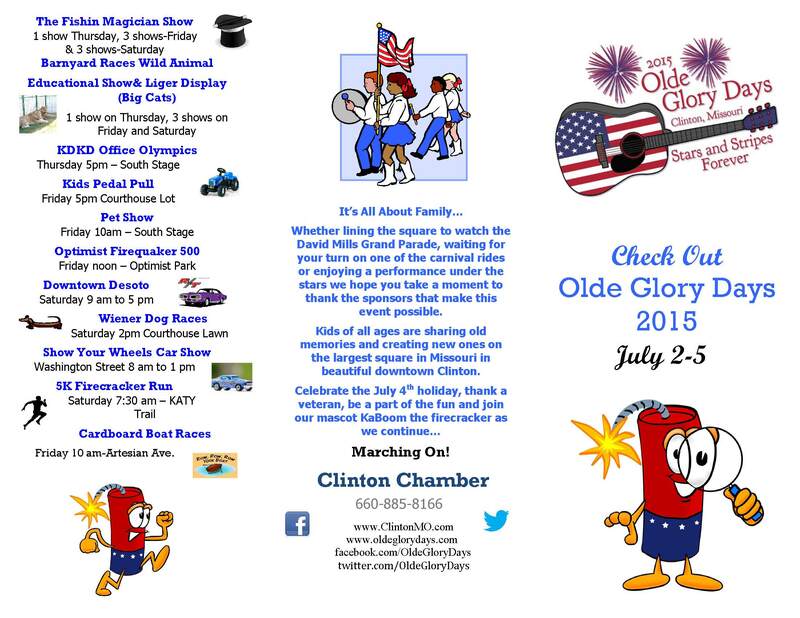 Olde Glory Days is one of the things that makes Clinton special. For four days the community comes together to gather on the square to take part in festivities surrounding the celebration of our independence as a nation. Olde Glory Days is a free event because of the generous businesses and individuals in our community and there’s something for everyone. Planning for Olde Glory Days is a year round process, I know because I’m involved year round as one of the chairmen. I booked the first act for 2015 on July 5, 2014 and have been signing contracts for the 2015 celebration ever since. 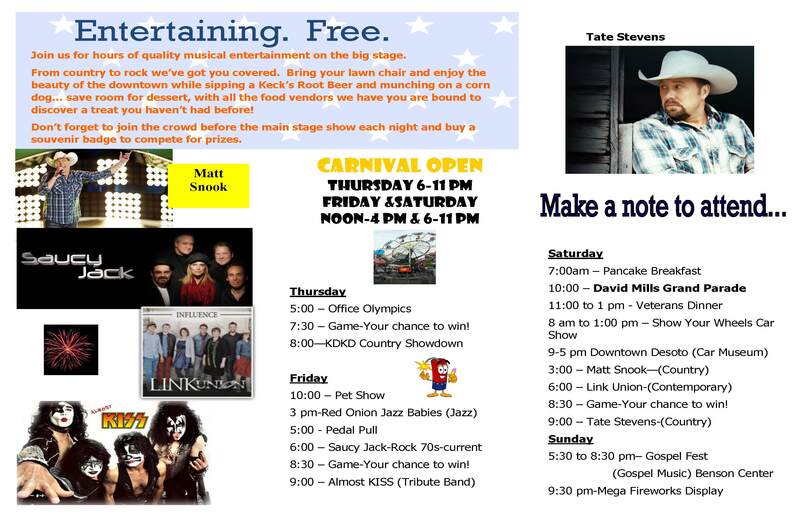 Here’s some info on activities and entertainment for 2015. See you on the square!